Back pain can disrupt your life and limit your mobility and therefore ability to walk, run, play sports and enjoy life. Your doctor may order an MRI and/or X-ray to see what is happening in your spine. 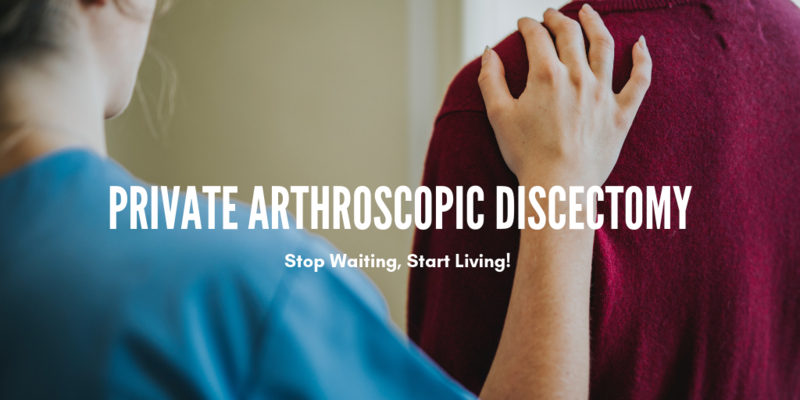 If you have a herniated disc and no other issues, your doctor may recommend arthroscopic discectomy. Arthroscopic discectomy is a procedure performed on the lumbar spine (and the cervical spine to some extent). Micro-tools are used to perform it. The surgeon will use a range of such micro-tools, including mini-callipers, lasers and micro-vacuums in conjunction with a laparoscopic microscope to view the surgery site up close. The procedure is minimally invasive and the recovery time is minimal. People report immediate pain relief and the surgery is generally performed under local anaesthesia, as an outpatient procedure. The procedure requires that a qualified surgeon who has specific training performs the operation. In many Canadian provinces, the wait time for back surgery is quite long. Waiting in pain can make it hard on you. Many Canadians prefer to check a private arthroscopic discectomy option. If you have been diagnosed with a herniated disc Health Vantis can help you find, vet and arrange your private arthroscopic discectomy. Call us to find out all the details and see if you are a good candidate for this type of surgery. Private Knee Replacement Private Neurosurgeon Clinics in Canada?